How to Increase the Life Span of Your Car? Taking very good care of your newly purchased car in the initial days, which is also known as the Breakin period is important for increasing the life span of your car. One should drive at the speed for 80-90 kmph during the first 1600 kms. The longetivity of your car depends upon the way you treat your vehicle. While driving, it’s advisable to keep the acceleration medium and the rpms should be kept below 3000. 1. Start your engine slowly: Especially in the winters, it’s advisable to start slowly instead of racing the car’s engine during start. This will prevent your engine from damage. According to research most damage is done if you accelerate fast during the first 20 minutes of your drive. Cleaning your engine at least two times in a year is important for the overall health of your car. 2. Park your car in a good place: It’s advisable to park your car in a shade from preventing the UV rays to damage your interiors. Garage is always a preferable place. 3. Buy fuel from reputed stations: Car owners should always buy fuel from reputable stations. Low quality fuel usually reduces the performance of your engine. 4. Use AC during winters: It’s advisable to switch on your car’s AC for few times during winter for keeping the compressor in good health. Refrigeration will also help make the seals elastic. 5. 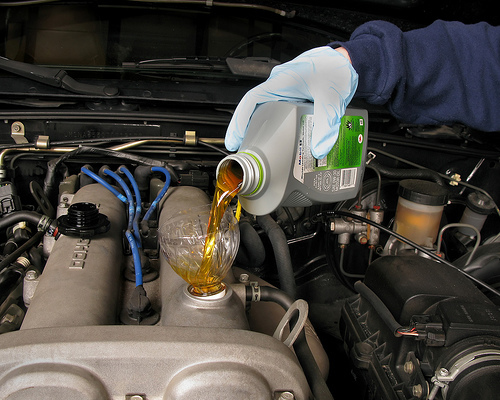 Power steering fluid check up: Car owner should check the fluid of power steering once in a month. It’s always advisable to use recommended power steering fluid for preventing blockage. Lastly, one should get a good car insurer, which will make sure that you get paid for the car parts from authorized manufacturers in case of accidents.